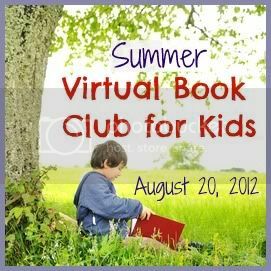 This month the summer virtual book club was exploring author Kevin Henkes. 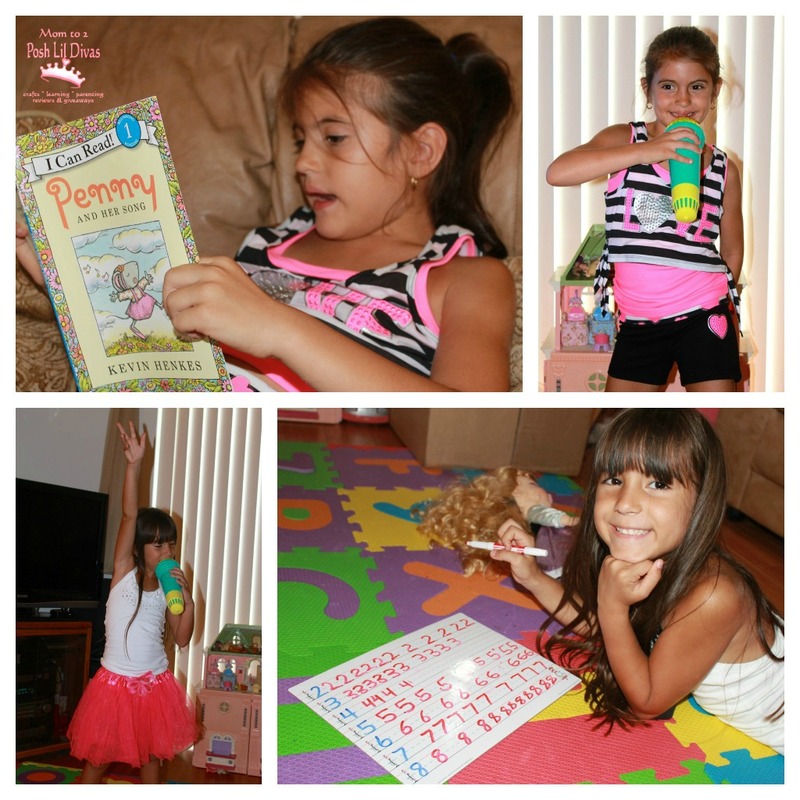 There are so many wonderful books to choose from but I wanted to share Penny and Her Song with the Lil Divas. I thought it would be the perfect book for my performance loving girls and I was correct. They enjoyed both the book and our activities. If you've never read Penny and Her Song - it's a Level 1 "I Can Read" book and it recently came out in paperback which is fabulous because now you can get the book for a great low price. The Oldest Diva read the book to us and we took some time to discuss the story elements - characters and plot (beginning, middle & end and problem/solution) and how Penny and the Lil Divas were similar and different. The book could not have come at a better time. Now that the Lil Divas come out of school at the same time - they are very competitive over who gets to talk about their day first. This book opened up some great discussion about how sometimes we have to wait to share something we think is special with our parents. 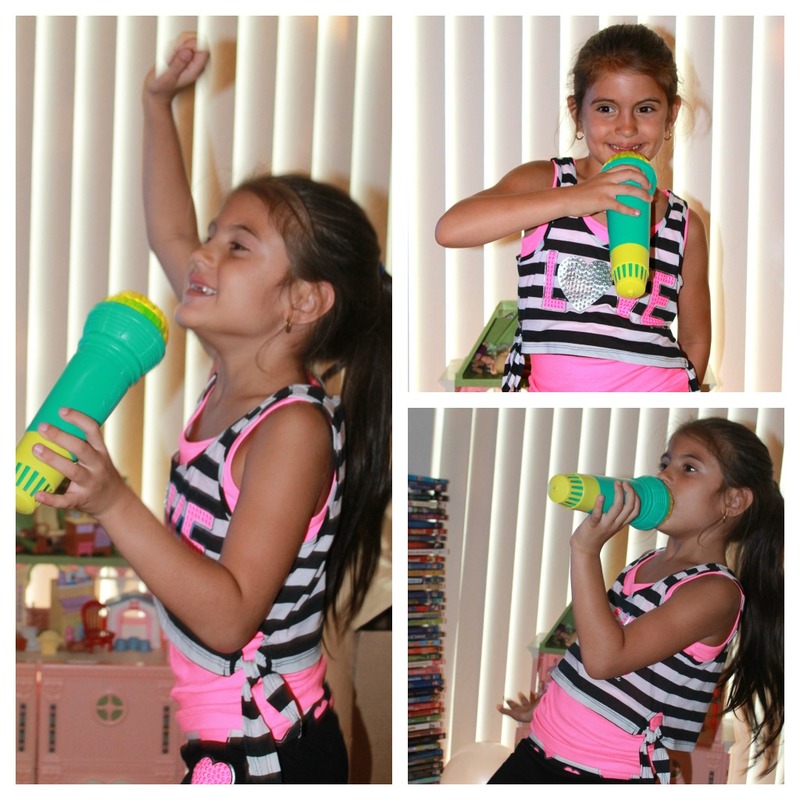 Once we were done reading we moved on to some FUN - our very own performances of course! I have to admit that this not uncommon in our home. Singing and dancing are usually part of our every day but the Lil Divas were inspired by the book to get dressed up, come up with their own song lyrics and put on a show like Penny did with her family. These little girls put on a fabulous show. I love to sit back and watch them in action. I know these moments are fleeting so I am soaking them up. Aren't they adorable? I might be a bit partial because I am their Mom but they take their future pop stardom very seriously and it shows, hehe. In the story Penny's song is all about numbers 1 thru 10. 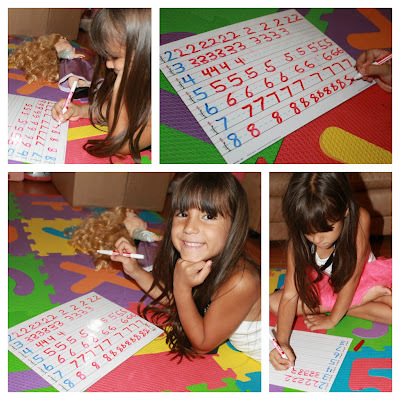 I thought this offered a good excuse to practice number writing with the Littlest Diva. It is an area that we haven;t worked too much on and I noticed that she needed some additional practice on some numbers (2, 6 & 8 especially). Using our dry erase board and markers I demonstrated how to write numbers 2 thru 8, helped her write them by guiding her hand and then let her write them independently. 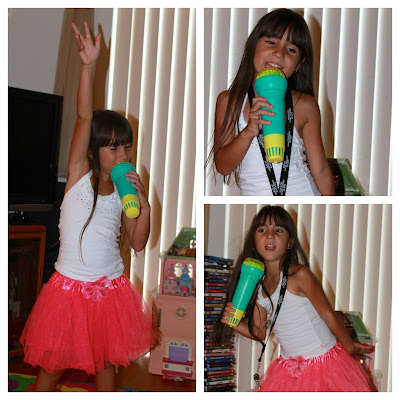 With just 15-20 minutes of focused practice she made such marked progress. She was super excited about being able to write the numbers like a big girl and I was impressed with how well she was writing. 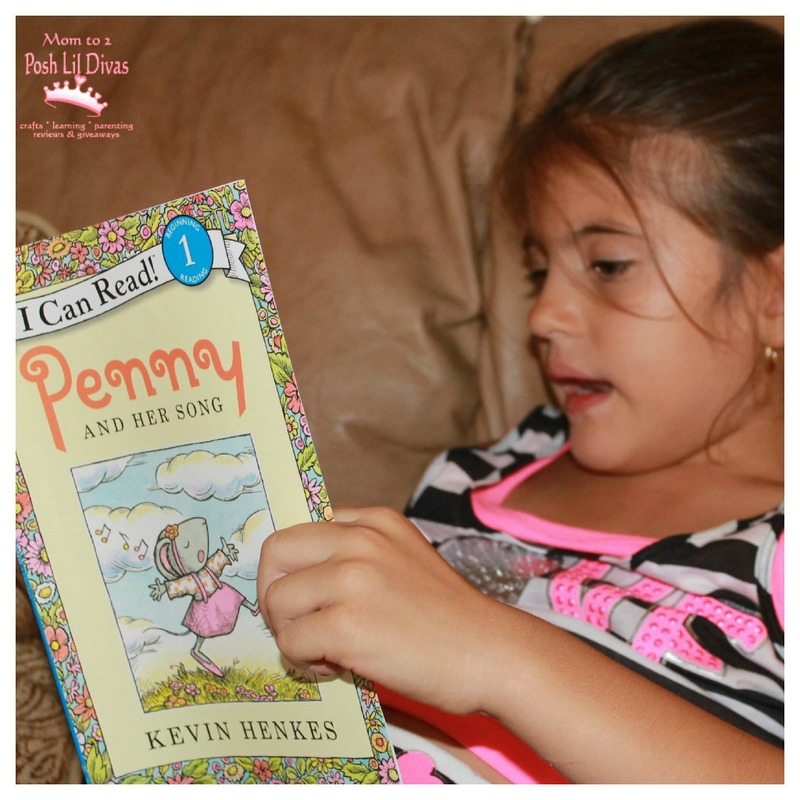 We had a lot of fun with Kevin Henkes book Penny and Her Song and I am super excited to announce that Harper Collins is generously sponsoring a giveaway for the book here on the blog. How awesome is that!? Please check back tomorrow for all the details and to enter using our easy rafflecopter giveaway. Do you have a favorite Kevin Henkes book? I'd love for you to share your favorites and to join the blog hop for Kevin Henkes book inspired posts/ideas.